Finding great deals on furniture starts with looking for a local designer furniture outlet. If you can't find one in your area, sometimes you can still find good deals online with free or reduced shipping. There are literally thousands of furniture outlet stores all over the country. 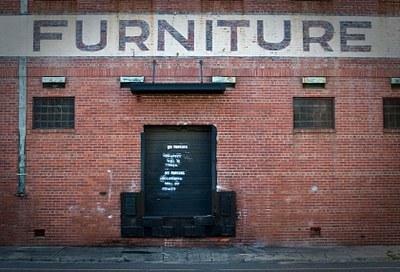 If you live near any major metropolitan area, you should be able to find several furniture outlets. It may be a little harder to find these types of stores in rural areas. In that case, there are lots of options for online furniture outlet stores. One of the hot spots for furniture outlet stores is High Point, North Carolina. You can log on to the North Carolina Furniture Directory to see a listing of stores all around this region. The stores featured on the site will ship or deliver their furniture nationwide. With over 3,000 manufacturers of home furnishings represented through these discount furniture stores and outlets, you're sure to find what you need. One of the biggest furniture outlets that only does business online is Overstock. This online company was started in 1999 and is based in Salt Lake City, Utah. With over 829,000 products, including a full line home furnishings and furniture, Overstock is a great resource for competitively priced furniture. One thing you never have to worry about when you shop at Overstock is the shipping cost. No matter how much merchandise you order, or how big is, you always pay a flat rate of $2.95 for the entire order. Overstock does not have a local showroom for their furniture. However, it would cost you much more to have a local furniture store deliver your furniture than if you purchase from this online retailer. Overstock also has an online community that you can join to network with other customers and the company. If you live in southern California, you may want to pay a visit to Nativa Furniture. This family owned designer furniture company was founded in the year 2000 and has three large showrooms in the southern California area, including one in San Diego, one in Solana Beach and one in west Los Angeles. Nativa offers a unique collection of Spanish, Mediterranean and contemporary styled furniture and home decor. The company has factories in Argentina, Peru and Mexico. Nativa imports the wood they use in their exceptional quality furniture from Peru, Paraguay, Bolivia and Argentina. However, more than 90 percent of the furniture is made in-house by Nativa's own expert wood workers. In 2001, Nativa began a campaign to research how they could improve their environmental footprint. The company began looking for wood sources that were either FSC certified or responsibly harvested. The company also researched ways to make the finishes they use on their wood products less harmful to the environment. Nativa now only uses finishes that are both low voc and water-based, meaning they have moved away from using high voc, oil based finishes. Pennsylvania has a large number of furniture stores, mainly because of the state's large population of Amish people. Anyone from this area knows that Amish made furniture is well-known for its quality craftsmanship. For those in the Midwest, Interior Express Outlet, owned by parent company Wholesale Interiors, is a large importer and distributor of designer home furnishings. The company has been in business since 2002 and also provides furniture for over 20 Internet furniture retailers. Interior Express Outlet used to only sell to retail businesses, however, they now offer great furniture deals to the general public. Furniture pick up at the company's Bensenville, Illinois, showroom is free and they also offer delivery service up to 40 miles away from O'Hare international Airport, starting at $85. Wherever you live, check into the local designer furniture outlet stores in your area. You might even find some wholesale furniture distributors that offer club memberships to the general public. This can sometimes mean substantial savings, especially when you're buying a large amount of furniture. Check out Direct Buy for an example of a furniture club membership.